Volunteers are the life blood of what we do, whether you want to pop in occasionally and do your part of get involved more and make a deeper impact we are happy to have you! 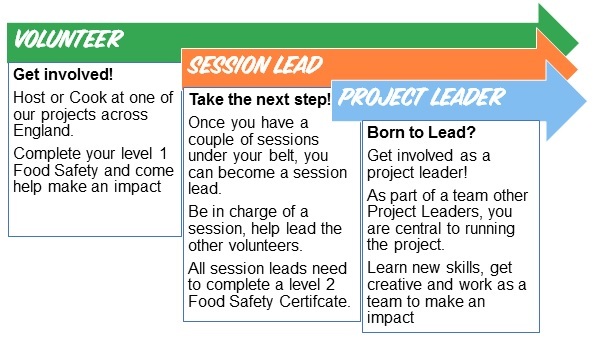 Below is the different roles that you can do as part of your journey wit FoodCycle. You can start as a volunteer and work your way to Hub Leader, or simple come and help out as a volunteer either way we think you are AMAZING!